This very doctrine — that we, too, can have an audience with the Savior — has been a beacon of light to me for most of my life. It has also been a foundational cornerstone since the Restoration’s opening minute, and is a central theme of the Book of Mormon and the narrative in the temple. Yet when I’ve discussed it with other members, I’ve more often than not received blank stares, as if I’m an alien from another planet. It leaves me wondering sometimes if there are some among us Latter-day Saints who are (frankly) closer to being “Latter-day Aint’s” in that they don’t believe in such possibilities. Others believe that only prophets, apostles and maybe seventy or temple presidents can enjoy such special revelatory experiences. I couldn’t disagree more. Such beliefs fly in the face of statements about which the Lord and his servants have consistently testified. “After the true saints receive and enjoy the gift of the Holy Ghost; after they know how to attune themselves to the voice of the Spirit; after they mature spiritually so that they see visions, work miracles, and entertain angels; after they make their calling and election sure and prove themselves worthy of every trust – after all this and more – it becomes their right and privilege to see the Lord and commune with him face to face. Revelations, visions, angelic visitations, the rending of the heavens, and appearances among men of the Lord himself –all these things are for all of the faithful. They are not reserved for apostles and prophets only. God is no respecter of persons. They are not reserved for one age only, or for a select lineage or people. We are all our Father’s children. All men are welcome.” (McConkie, “The Promised Messiah”, p. 575 as quoted in “The Triumph of Zion”, p. 105 ; emphasis mine). At a fundamental level, the Unblog is an online journal of experiences and testimonies which bring us back to Christ. Yet I’ll admit: Some things are so sacred, that it’s difficult to adequately discuss them online. Some experiences are better left implied and not detailed in this venue. I hope you understand — especially in the case of this post. Yet what we can do is share and testify of several things we have learned along the way — strategies and actions you can read, ponder and pray about — which could help you take a step closer to a loving Savior who is more anxious than you are to hold you in His arms again. This piece of writing is truly a pleasant one it helps new the web people, who are wishing for blogging. You may find some answers to your questions in a comment I made under the latest post (“Seeking your Audience with the Lord, Part 3”). It’s dated May 29, 2013 at 9:26 AM and is addressed to Janet. If you have any further questions, feel free to post them here, or contact me off-line. So I love this blog though I don’t respond much. I have a serious question I feel some of you can help me with. As my journey to draw closer to The Lord continues and my spiritual eyes are opened I know I am on the right path. I am realizing spiritual gifts one of them is discerning of spirits. I am able to help people with many things as I recognize who is influencing them and see initiate results. I also feel good about what I’m doing though people think that is inappropriate though The Lord cast out many devils and unclean spirits before he healed them. The problem is I feel like in return satan is working overtime on me or more so my family which begs me to answer, am I attracting them or is this my trial as I learn more about him. Most people post here good positive things and I never hear about how satan works on them so is it me? Jennifer, your challenges and questions are the same ones I’ve had recently and I’ve been studying, pondering, and praying to find the answers. I feel that the closer your relationship with the Lord, the greater the opposition from the adversary. There must be opposition in all things. If you are to receive all the blessings of the gospel, you must also experience their opposites; otherwise you haven’t been given the opportunity to exercise your agency by choosing between the opposing forces. There’s a difference between attracting opposition from evil and inviting evil into your life. I love Eric’s suggestions he mentioned; they have also helped me many times. I hope you find the answers to your questions! Thanks so much for your kind comments to our Unblog posts! You asked in a previous post (Sunday?) “would I believe it was a true vision from God, or would I think I was mentally ill and in need of medication?” Might I suggest that there’s every reason to believe that when you have had a personal experience or encounter with God, there is absolutely, positively no mistaking who you were with. Every molecule of your spirit and body resonates in the presence of its Creator, and you are left with no doubt whatsoever who’s feet you cried on, who’s nail prints you felt, and who’s eyes you just looked into. This is a knowledge similar to that of Joseph’s, whose sure knowledge was an anchor amidst so many trials and tribulations he underwent. You also asked, “would I become addicted to visions and avoid my real life.” I’ve never heard of someone being addicted to visions, because God has a pretty good handle on the on/off switch there. However, I tend to believe life has a way of creeping up on us, whether we want it to or not. Again, Brother Joseph is a good example. He entertained angels and saw visions of eternity, yet real life was a *constant* companion he found unavoidable. Finally, you asked, “would I think I was better than other people because I had these spiritual gifts.” In the long run, that’s your decision to make. But those who have kneeled in the presence of the Master were left with little doubt as to their status as a telestial mortal; hence, “And now I ask, can ye say aught of yourselves? I answer you, Nay. Ye cannot say that ye are even as much as the dust of the earth; yet ye were created of the dust of the earth; but behold, it belongeth to him who created you.” (Mosiah 2:25) The Book of Moses gives a good recitation of such an event. I don’t know if you consider these “satisfactory answers”, but I seriously doubt God would ever ask you to “trade in” gifts like compassion, friendship, and service. I’d bet they’re yours as long as you cherish and use them for the building up of His kingdom. However, I do know that He seeks to add to our gifts, especially those which literally bring us back into the loving arms of He who longs for our return. Thanks Eric for your post. Thanks to all of you who have shared the sacred thoughts of your hearts. I feel this blog/website is an oasis for my soul. I have only two people I can talk to about these things, my spouse and my friend (who lives thousands of miles away), so I don’t often get to talk to someone about these sacred things (except, of course, in my prayers), but it is refreshing to be able to read your comments and know there are other “kindred spirits” who are yearning, searching and trying to obtain these sacred experiences. I have read Denver Snuffer’s book, and John’s books: Following the Light, Triumph of Zion & Visions of Glory. If there are other books that have been beneficial to any of you, please pass on suggestions. Two other books I have really enjoyed are Hugh Nibley’s “Approaching Zion” and Catherine M. Thomas’ “Light in the Wilderness”. Thank you. To those of you who responded to my questions. Thank you. You have been helpful and kind. Now I actually feel OK about working on this. It might take a while, but I ‘ll let you know how it goes. 11 For the world cannot receive that which ye, yourselves, are not able to bear; wherefore ye shall not give your pearls unto them, lest they turn again and rend you. 13 For everyone that asketh, receiveth; and he that seeketh, findeth; and unto him that knocketh, it shall be opened. Have any of you had concerns like the ones I mention above? If so, how have you resolved them? This space doesn’t feel filled with love if people who have questions and doubts are called “aints”. The shepherds were pretty scared to see angels, so I don’t think I’m that unusual, and most of the folks I know who are in the church haven’t actually seen anything. Most of us don’t feel worthy or ready. We listen to the still small voice in our thoughts and feelings, and we often have trouble figuring out if it is really the spirit talking with us or if it is our own thoughts and hopes we are listening to. I’m guessing that most of you have been in the same spiritual place as me. So how did you move out of this place? I was touched by your first post. When I read this post I felt that I should reply. Thank you Sally I was hoping someone would tell me exactly what you said. I am feeling happy to start working on getting a better relationship with Christ. I have been wondering for at least a year, if He came back would I know Him. I really want to recognize him and I want to be on His team as a helper. I have one of John’s books on my wish list. I wish it was a book and not something to download but I guess I should be able to print it, right? Anyway, Thank you so much for your understanding and compassion. Although I joined the church when I was actually 22. I am 63 now. My husband and I have raised eight adopted children all grown. We have seen many quiet miracles. My faith is kind of like mustard seed faith, easy to take for granted and lose track of, but still seems to be there when I need it. I’m hoping as I try to seek and find the Lord, my faith will grow and I can be more helpful. My Email is mariebbrennan@gmail.com, if you email me I will send you my phone number. Marie, I began my quest upon reading “The Second Comforter” by Denver Snuffer. My quest continues, but it is most definitely moving in the right direction. 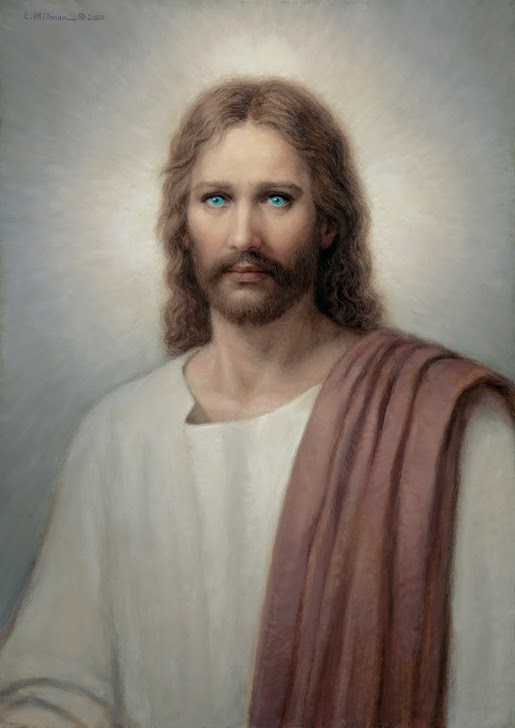 My big breakthrough was when I decided that, even though I has been warned that I would have to suffer trials – great trials – before seeing the Savior, I wanted that blessing so badly that I told the Lord I was willing to suffer anything, and that I trusted Him to guide me with love. I agree that calling some “aint’s” is insensitive. I was also an “ain’t” at one time – and I know that in the eyes of some, I still am. But I know in the eyes of the Lord I am trying to keep my covenants – all of them. Eric, it is very rare that I would actually anticipate hearing more of what someone has to say in a blog like this. Yet, in this case, I eagerly anticipate hearing more. As a matter of fact, you could write more, more often, and it would not be enough. The spirit of the blog, the spirit of the commenters is very uplifting and encouraging. I have felt for a couple of years now that there is a gathering taking place. The topics of Calling and Election, and the Second Comforter are being discussed more openly. Those of us who accept and pursue these blessing are coming together. Unblog my sould is one of those gathering places. God bless us all! There is a purpose in this. We live the same experience in the place of the vineyard where my husband and our family live. My husband and I were both converts at 21 and serve full time missions. (We had the same experiences that Jim White is speaking about in his comment above) We were full of enthusiam and thought every member had the same feeling as us : to see the Lord, to wait for his return, have spiritual experiences…. We have often been amazed by the “stares blank” you are speaking about we were receveing too. We didn’t understand. We have been considered sometimes like “extremists”. It has been painful and still is. But with this blog we have discovered that other have same experience as us in other parts of the world. It is a great help for us. The books of John “following the light unto his presence” has changed our vision, understanding of the temple. We don’t enter it with the same purposes and goals now. We have been thru trials but The Lord has always been there for us. Where do you live? My wife and I served a mission in Paris. We live in Toulouse in the south of France. But I was converted in Nantes which was at that time in the Paris mission. When did you serve in France? 2009 – 2010. Don Staheli was our mission president. We served at the center for young adults in Paris. With the exception of the Catherine Thomas book, our reading list is the same – most of them twice, including approaching Zion. I was baptized in 1978, a longtime before your mission 🙂 We have couple here too in our stake for young adults. They do a great job. They are much needed. In our list we have all the books except Denver Snuffer. Did you go to the family reunion with John Pontius last year? No, I did not, Genevieve. Didn’t even know about it. Gayla, I know of a few other blogs where you can meet like-minded people. If you’re interested, let me know and I’m sure Eric will introduce us off-line via e-mail. The Gospel is beautiful – about love, forgiveness and charity. Everything else is the philosophies of men. Is your answer for Gayla or for me Genevieve? I love this post so very much. I have been pleading with my ward and with others online about these very same things. The response that I gave on part one a few days ago I actually said in fast and testimony meeting in April this year. I plead with my Father in Heaven everyday for Him to open the way for me to testify of His Son Jesus Christ to at least one person or group of people everyday of my life. To be a special witness, which is what we all need to be, which is one who has seen and knows firsthand that Jesus lives, is a wonderful but also is at the same time a difficult responsibility to bear. Most days I feel the Spirit telling me to wait, that a person or a group of people that I am anxious to feel the Holy Spirit blessing them with love, mercy and the realization that they too can see and know for themselves that all that we speak about at this unblog is true, yet they are not ready at this time. Everyone approaches Gethsemane individually and on their own time frame. There is this sense of urgency that more people need to be awakened and open their spiritual eyes as it were to the wonderful reality that Christ not only loves them but that He will come unto them if they will seek Him out and find Him. Space here does not allow me to write all that I desire to share for God’s glory, nevertheless I appreciate all those who post and respond at sacred place, this spiritual oasis so filled with love. Thank you again. Thank you, from the bottom of my heart, for sharing these references. Almost four years ago, my baby girl was born into heaven. Since that time, I have read many near death experiences. I have longed to see her or hear her. I have longed to experience the oneness and unconditional love that all NDE’s refer to. Earlier this week, I realized that I subconsciously thought that I needed to die, and then return, in order to have the personal revelation and closeness to the Savior that I was seeking. As you mention here, the scriptures are full of individuals having direct connection with the Son-and not all were prophets, nor did they have to endure death first. This post is a tender mercy and another witness that we indeed have every right to receive all things! I don’t think the “Latter day ain’t s”are as rare as you think. As a matter of fact, those are the only ones I had encountered prior to finding Br. Pontius book and this blog. You are a breath of fresh air, and I can hardly express how grateful I am that I found you. I have to admit, though, that after so many years of hearing that this is only for a chosen few and by all means to stay away from the mysteries etc… I was somewhat frightened to read this. It took me a while to realize , that the reason all this was so delicious to me, was because the Spirit was testifying that it was true. My life will never be the same. Thank you. I love this kind of thinking. It makes me hopeful that I could eventually develop some really wonderful spiritual gifts. Still, I have a lot of questions about the whole business. I have also thought about what Jesus said to Thomas, “Blessed are they who have not seen and yet have believed.” I think an open vision of the Lord would require a great responsibility. It’s important to be ready for that and not rush into more knowledge than we are ready for. I used to be Catholic, and I was taught by nuns for sixteen years of my education. They stressed skills like meditation, prayer, and a personal relationship with Christ. I remember as a child wanting to see Jesus or Mary or an angel, but it never happened. The thing that attracted me most to this Church, at age 21, was how practical and down to earth it is. In my mind my relationship with Christ has more to do with my service to the people He puts in my path than to actually seeing Him, although I would like to someday, and I guess I will whenever He thinks I should. How would my service change then? I worry that I would enjoy His presence so much that I wouldn’t want to spend the time I need to living my life. These are real concerns I have. First, would I live up to the responsibility? Second, would I believe it was a true vision from God, or would I think I was mentally ill and in need of medication? Third, would I become addicted to visions and avoid my real life. Fourth, would I think I was better than other people because I had these spiritual gifts. Until I have satisfactory answers to these questions, I am hesitant to pursue these especially wonderful spiritual gifts. At present I have quiet gifts of compassion, friendship, and service. I don’t really want to trade these in for others that might not be as helpful for me, my family, and the Lord. Marie – Pursue them! Ask for them openly. In doing so, take your concerns before the Lord. Trust Him to prepare you, and he will do so. It is perhaps even the pursuit of the blessing that is most important. Concerning, your quote concerning Thomas – my understanding is that this will never be given as a condition of belief, a condition of faith – but as a validation of the faith that you already have. Thank you so much for your comment Marie. I too feel that having these kinds of visions would be more than a sacred experience, it would also carry great responsibility. The Spirit moves me daily to study, gain a personal relationship with Christ, and especially to serve others as He would serve. I also feel more strongly that I do not have the right to judge others, but to love and serve. Most people do not see the gospel and its magisty the way God has blessed me to see it, but this gives me even more desire to love my brothers and sisters, and pray for their behalf, and serve them. This is how the Master lead, and the example of John. I loved his words and was drawn to him in part because he was always so positive and kind to everyone. His blog about searching for the lost sheep when he was in Alaska, and how his efforts with the Lord’s guidance brought so many back into the fold was touching. I hope I can be more like that, and if the day ever comes that The Lord chooses to show His face to me, that I will be ready. Thank you for this post Eric. I agree completely! For as long as I can remember, whenever I have read in the scriptures that we too can see God, I have believed it with my whole heart to be true and have fully expected it to happen. Even when I was a little girl. I have never doubted that possibility. I have received similar responses from others and often wondered, “Are they reading the same scriptures I am, because it seems so clear?” I think the first step in receiving this blessing is simply to believe that it truly can happen to you. After I re-read your blog entry again, I was reminded of an experience I had just a few months after my mission. I am a convert to the Church, and at that time, as well as prior to my baptism, as also afterwards, I had many spiritual experiences. To me they were common place. And, in my naivete I was willing to share them with others, quite readily. As I shared some of my experiences I soon learned that my experiences were not so common place, even among the Saints, and sometimes it felt like I was casting my pears before swine. So, I pretty much stopped sharing what I have experienced. It was a sad experience for me. On my initial reading of the Book of Mormon in the weeks before my baptism I was excited when I read about the experience of Nephi on the mountain top when the Angel spoke to him and asked him what he wanted; and he responded by saying that he wanted to experience and see what his father had. This was so exciting to know and have affirmed to me that we could experience the things of God for ourselves and that they weren’t just reserved for prophets and “Saints”. Thanks for letting me share. Regards, Jim White. I completely agree with your comments as indicated in the “Invitation.” I have had some sacred experiences that I feel I still cannot share. But I can say with assurance, I know that He lives! I just wanted to add one other thing. There is no planning or expecting as to when the Lord will answer our supplications, hopes, and prayers, especially as it relates to this subject. On the other hand I will also say that the best place to “find” the Lord is in the Temple. He can be found there and draw nigh unto us and we unto Him, perhaps more than any other place. The prophet Joseph once said that the power of Godliness is manifested in Priesthood ordinances. I have found this to be true too. I have seen His almighty hand and felt His presence and the presence of those from the other side of the veil – in baptisms for the dead, in initiatory ordinances, in endowment ceremonies, and especially in sealing ordinances. BTW, thanks for keeping the blog going. Best to you, Jim White. Thank you Eric, and as it seems appropriate, I will add, “Amen, Brother!”. Gives me so much hope and excitement! Both your statements and implications are very much appreciated. This blog is a beacon of light. Sometimes I feel old and wonder why things didn’t happen in younger days. I feel it is the whole reason the veil is there to begin with. I am here to progress, and not walk as I walked before I came here. But, I also feel the time is close at hand. An gentle urgency, and awakening. I love how you state that our Loving Savior is more anxious than we are to hold us in His arms again.